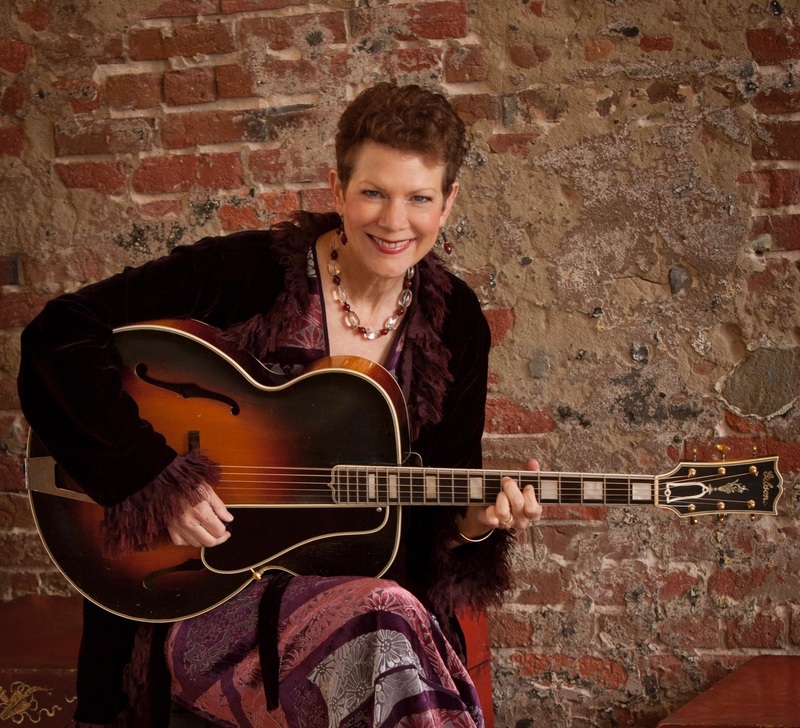 Sylvia Herold brings to Puget Sound Guitar Workshop a wild enthusiasm for learning jazz and swing repertoire and three decades of teaching experience. Herold was a member of the swing vocal trio Cats & Jammers and the Django band, The Hot Club of San Francisco. Currently Herold tours and records with Wake the Dead, Sylvia Herold and the Rhythm Bugs, The Sylvia Herold Ensemble, and her folk combo Euphonia. She has appeared on more than 25 albums, including five solo recordings. Herold is a resident teacher at The Freight & Salvage in Berkeley, CA. She has taught guitar and voice at California Coast Music Camp, Port Townsend Voice Works, and British Columbia Swing Camp. Singing, playing guitar, and learning new songs are her favorite activities.